Ignite Burlington is Tomorrow Night! Tickets are still available here for $15.00 or you can purchase them at the door. Alex is a dynamic, engaging and energetic speaker who has presented for groups including, the National Association of Realtors, WCR, NAREB, NAHREP, the Pennsylvania Association of Realtors, the New York State Association of Realtors, Triple Play, Vermont Realtors and many more. Upon realizing the impending boom in mobile technology Alex decided to form a company with the core goal of implementing end-to-end mobile marketing strategies focused on specific industries, with real estate as the primary focus. After graduating from Syracuse University in three years, with degrees in Political Philosophy and Legal Studies, he worked as the Director of Operations for a New York City based tech firm where part of his job was managing enterprise level data centers as well as the supply chain management system for Denso Wave corporation – the original inventor of the QR code. Upon realizing the marketing benefits of the QR code and the impending boom in mobile technology Alex decided to form a company with the core goal of implementing end-to-end mobile marketing strategies focused on specific industries, with real estate as the primary focus. By building a team of industry partners, mobile development experts, and a passionate sales force, Alex created one of the premier mobile technology firms in North America. 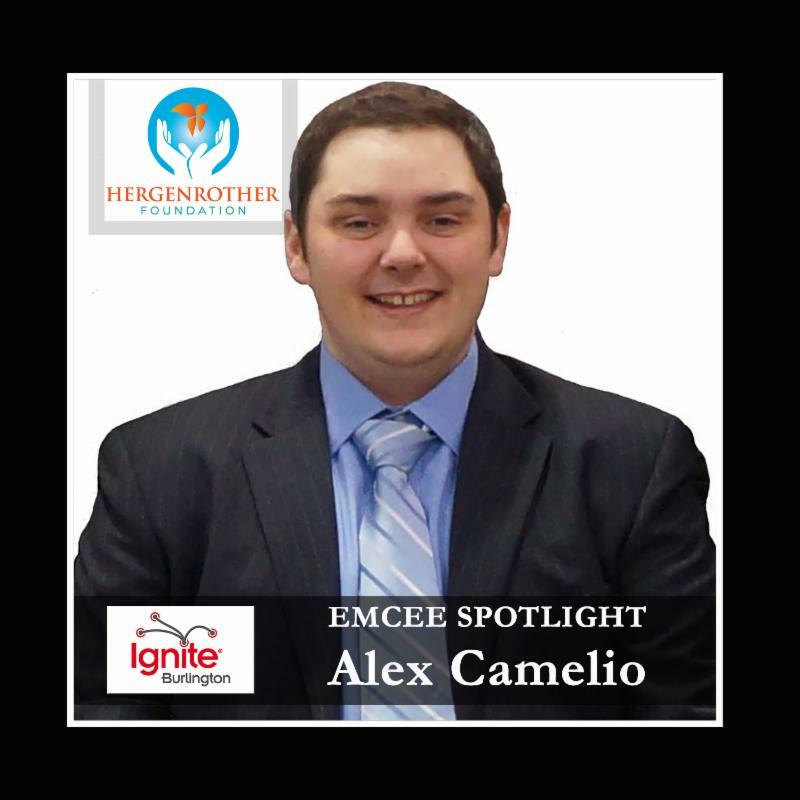 Click here for Alex’s presentation from our inaugural Ignite Burlington event in 2012! This entry was posted in Events, Ignite Burlington, Ignite Speaker and tagged adam hergenrother, alex camelia vermont, alex camelio, alex camelio barcode publicity, barcode publicity, believe you can coaching, career coaches in vermont, hergenrother enterprises, hergenrother foundation, ignite adam hergenrother, ignite burlington, ignite burlington vt, ignite vermont, ignite vt, law of attraction coaching in vermont, life coaches in vermont, lisa deavitt, lisa deavitt vermont, mind spark adam hergenrother, mind spark ignite on October 14, 2015 by Hallie.